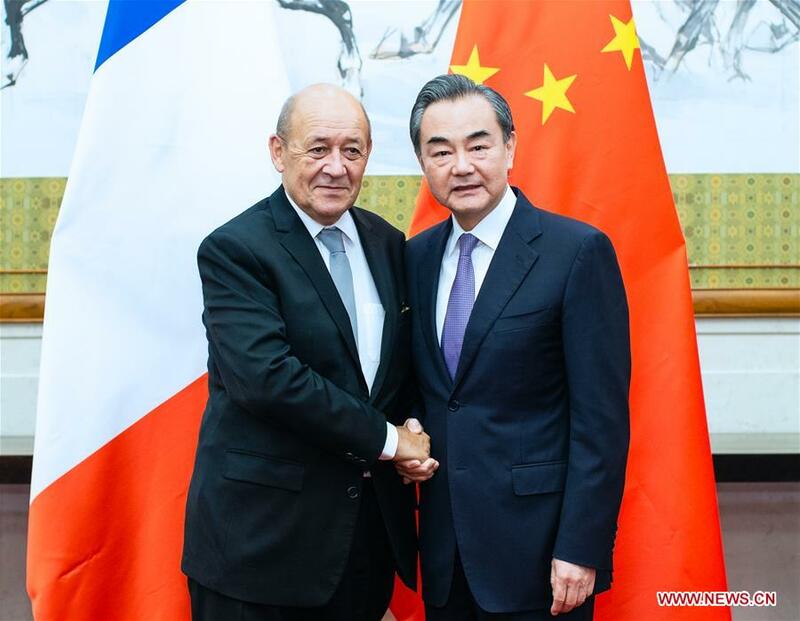 Chinese State Councilor and Foreign Minister Wang Yi held talks with French Foreign Minister Jean-Yves Le Drian in Beijing on Thursday, vowing to promote cooperation in various fields. Next year marks the 55th anniversary of the establishment of diplomatic relations between the two countries and the 100th anniversary of work-study program in France, which will be of special significance for China-France relations, Wang said. "China is willing to strengthen communication with the French side in building the Belt and Road and explore new ways of cooperation," Wang said, calling on the two sides to make contributions to maintaining multilateralism, improving global governance, and promoting world peace and development. Le Drian said France is willing to advance cooperation with China in all areas and to explore ways of cooperation mode in construction of the Belt and Road.